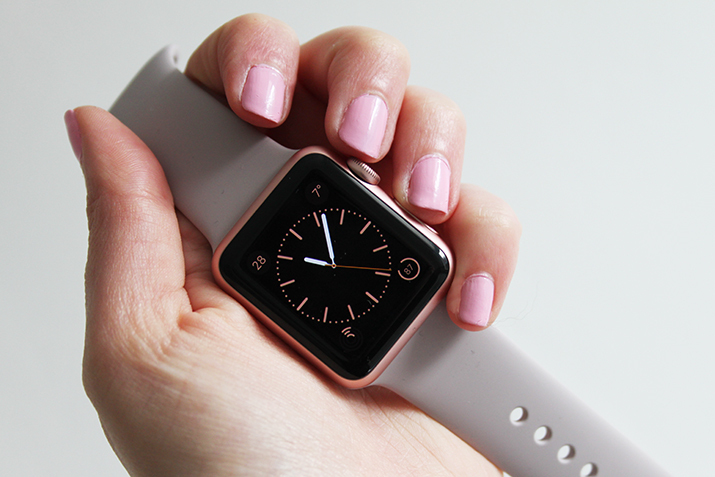 It’s been one week since this beauty came in to my life, so I thought I’d give you the low down on what the Apple Watch is like and how it fits in to the life of a twenty something female. If you’d asked me a few months ago what I thought of these, I’d have told you they were ugly, masculine and a waste of time. Fast forward to now and I’m a complete convert! Before I continue I would just like to point out that this is NOT sponsored and I didn’t receive this for free. I’ve bought it for myself with my hard earned cash after Dan got one at Christmas and slowly changed my mind. 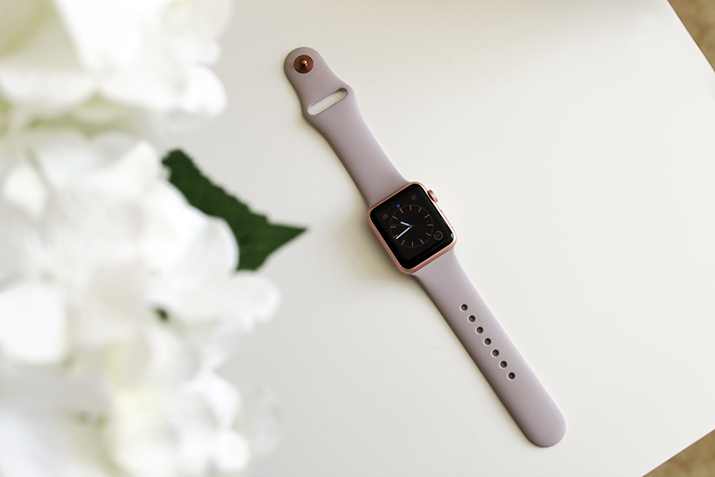 I do still think the larger 42mm ones are quite big, bulky and personally I find the stainless steel and silver, space grey and gold aluminium versions a little on the masculine side, but the rose gold aluminium is the perfect option for those of you looking for something a little softer. The 38mm version of the watch case is designed for smaller wrists, and looks much more flattering on me, so this in the rose gold finish is the perfect pairing. Add the soft lavender band and suddenly the watch looks less ‘sport’ and more ‘style’. My one bug bear right now is the lack of bands available with rose gold hardware. There are so many to choose from if you opt for the silver or stainless steel, but right now there’s only lavender, and stone, which is exclusive to the 42mm model. I believe there are more bands arriving later this month, so fingers crossed for some more options! When it comes to the technology of the watch itself, I’ll be the first to admit that I was a little sceptical. I mean, it’s a watch. What more do you need than to be able to tell the time? Well actually, one week in, I can tell you a lot more! If you took this off me now and swapped it for my trusty Daniel Wellington or Michael Kors watches, I’d feel like something was missing. Not only can you tell the time, you can also customise the watch face design, check the weather, track your steps, calorie burn and heart rate, check recent posts on Twitter and Instagram, control the music playing on your phone, answer calls, send texts and WhatsApp messages, get directions… Heck, you can even look after a Tamagotchi on the thing! 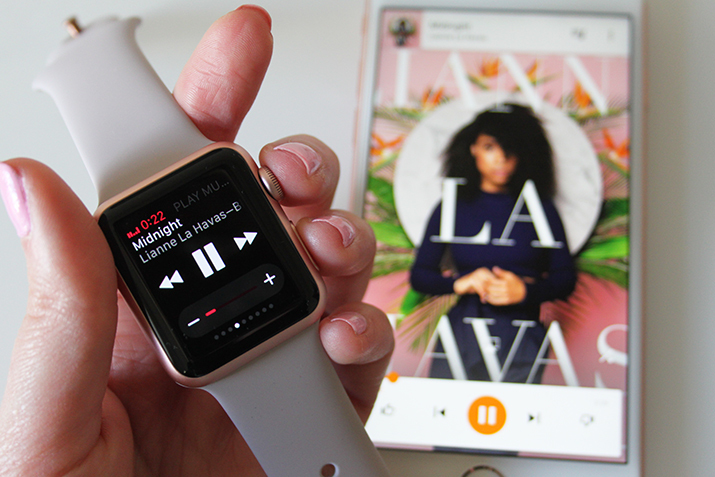 It connects with your iPhone and automatically detects the apps you have that are compatible, so anything you download that can be accessed on the watch, will automatically sync to to main screen shown above. Another thing I was a little concerned about was how obvious the notifications would be. I spend quite a lot of time in meetings or on trains for work and didn’t want the watch to be chiming or buzzing noisily all the time what with all my email accounts and social media feeds connected to it, but I can confirm it can be put in to mute mode and is super discreet with a subtle little buzz on the wrist. Another little feature I love is the nightstand mode, as seen above. 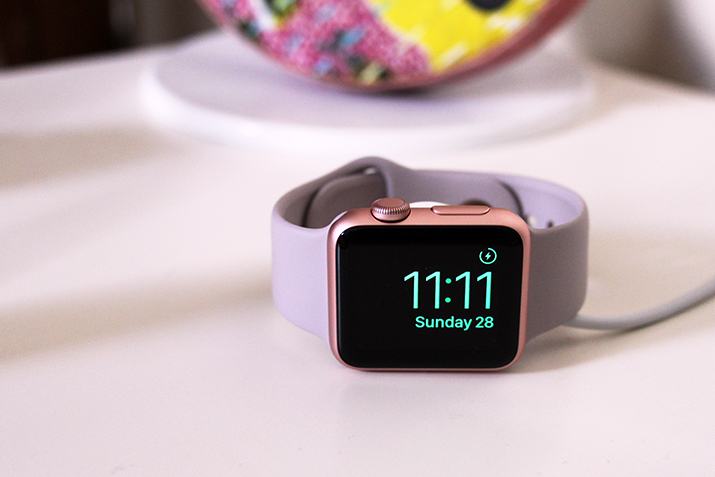 Simply put the watch on charge with the sweet little magnetic charging cable, and stand it on it’s side to activate. This changes the display to a digital clock screen that can be seen just by touching or nudging the watch. We don’t have a clock in our bedroom, and sometimes it’s just too much effort to find my phone and check the time when I’m half asleep, so this comes in very handy indeed! 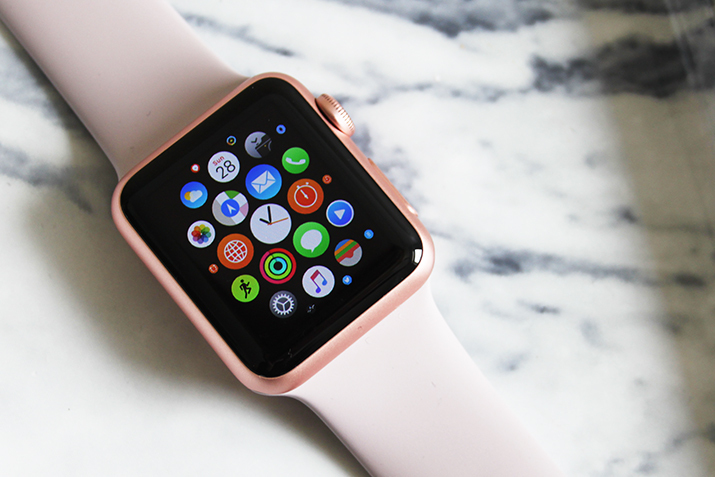 If you know someone who has an Apple Watch, you can connect with them and send taps or drawings which then play out on their watch to let them know you’re thinking of them. For the soppy ones amongst you (like me) you can even send your heartbeat to a fellow Apple Watch wearer, which then beats on their wrist! All in all, I’m really impressed and eating my words. I’ve watched Dan use his for a few months now so I thought I had it all sussed, but every day I’m discovering something completely new that it can do. 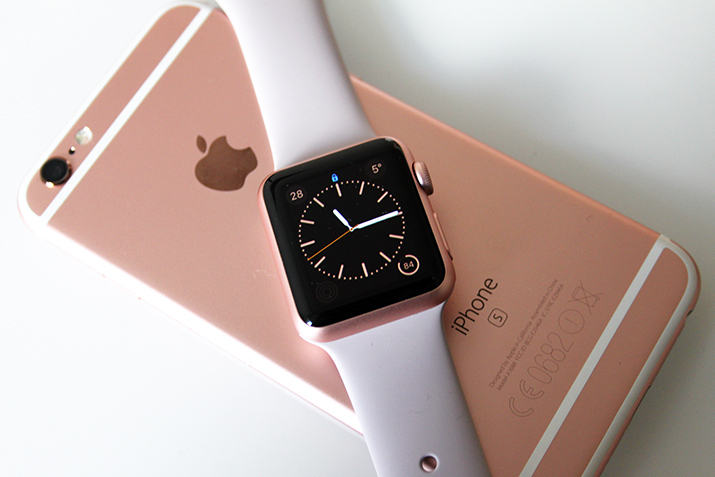 I really hope they do bring out some more band options for the rose gold version, as I think it will start to prove tricky to style with all of my wardrobe. Lavender doesn’t go with everything! A classic brown leather strap with rose gold hardware would be lovely, or a simple metal link band a la Michael Kors would make it look a little more formal. I’ll wait with baited breath to see what else they bring to the range! 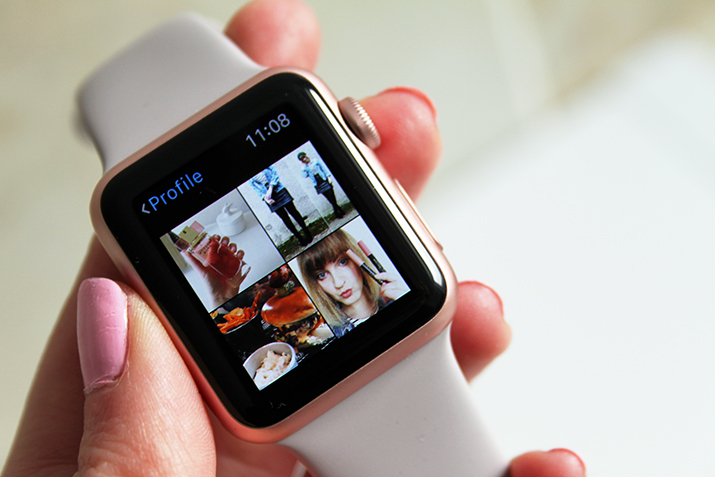 Have you got an Apple Watch? Which style would you choose? What would you use yours for the most? "TIME FOR A CHANGE | REBRANDING YOUR BLOG"
"PRIMARK PS BEAUTY VELVET MATTE LIPSTICK PENCILS + LIP LINERS | REVIEW"